The Vermont Garden Journal is back with weekly organic gardening advice from horticulturist Charlie Nardozzi. before noon since their flowers close in the afternoon. 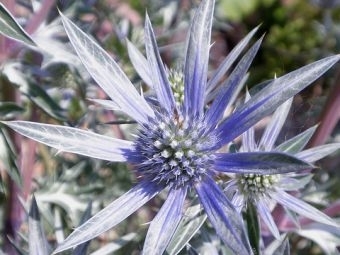 planted in the back of a border or in a container. blue flowers and stems making this a blast of blue in your perennial garden. back and forth 10 times daily with your hand to keep them short and stocky.